You all probably know this: I’m a singer. And I’m in a lovely group in Munich with a choir, orchestra and Big Band, English Speaking Music Ensembles e.V. (ESME). 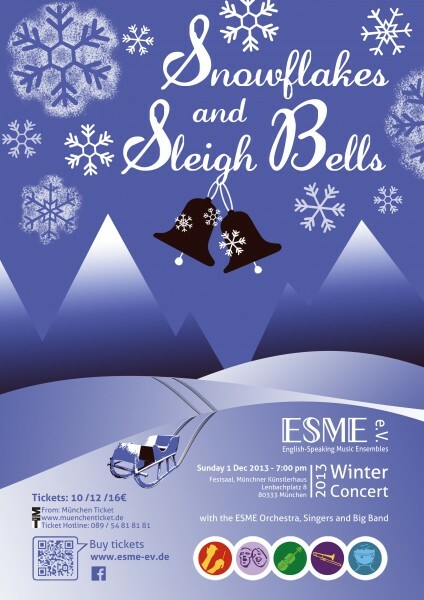 We do two big concerts a year and our winter concert is quickly approaching. Do you need a big blast of Christmas cheer, right in the face? Wanna support live music made by your fellow expats? Just looking for a way to spend a Sunday evening in Munich? There are still tickets left through München Ticket, but they’re going fast!